This work combines social media and sensor data to measure the urban mobility and road safety in the Pittsburgh Metropolitan area. The rapid rise of location-based services provides us an opportunity to achieve the information of human mobility, in the form of participatory sensing, where users can share their digital footprints (i.e., checkins) at different geo-locations (i.e., venues) with timestamps. These checkins provide a broad citywide coverage, but the instant number of checkins in urban areas is still limited. Smart traffic control systems can provide abundant traffic flow data by physical sensing, but each controlled region only covers a small area, and there is no user information in the data. 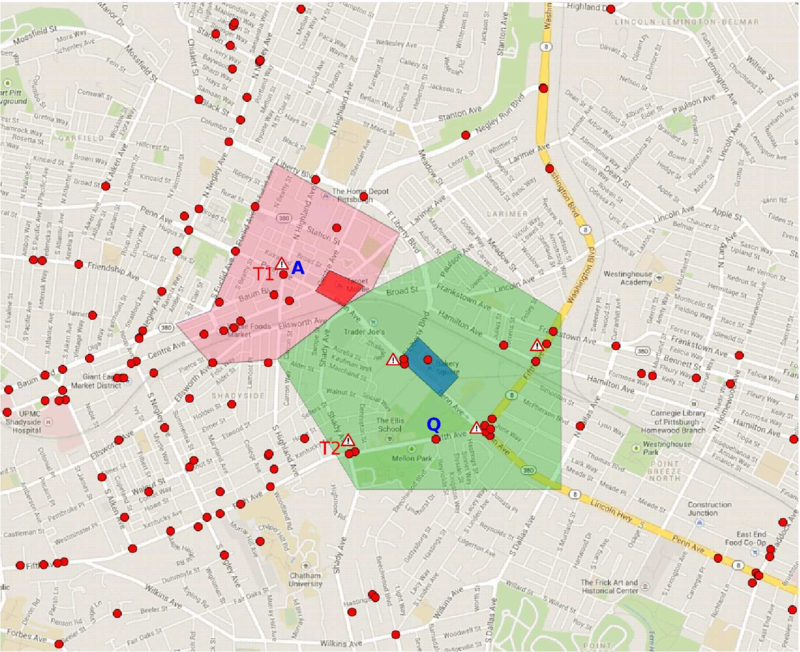 Here the authors present a study combining participatory and physical sensing data, based on 3.4 million checkins collected in the Pittsburgh metropolitan area, and 125 million vehicle records collected in a sub-area controlled by an adaptive urban traffic control system. The aim is to disclose how to utilize the combined data for a better understanding on urban mobility networks and activity patterns in urban environments, and how to take advantage of such combined data to improve urban mobility applications such as anomaly traffic detection and reasoning, topic-based nontrivial traffic information extraction, and traffic demand analysis.